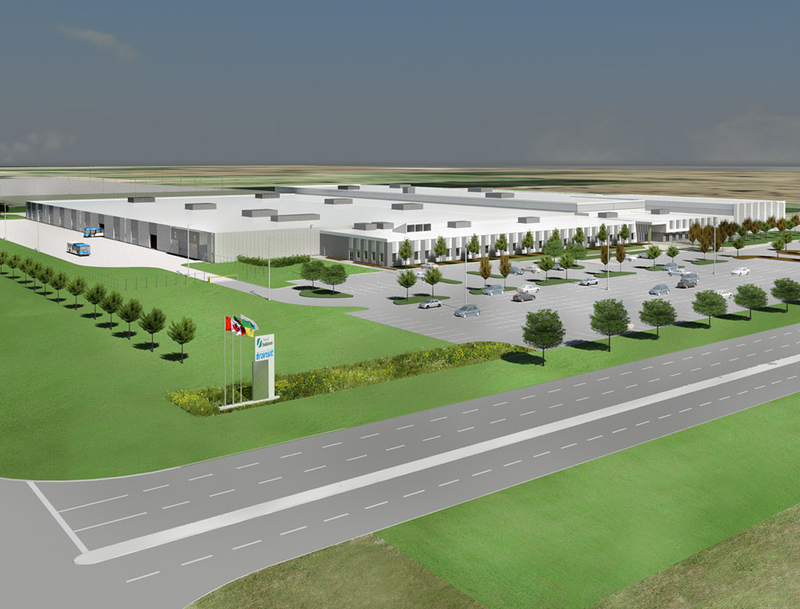 Saskatoon Civic Operations Centre - Strasman Architects Inc. 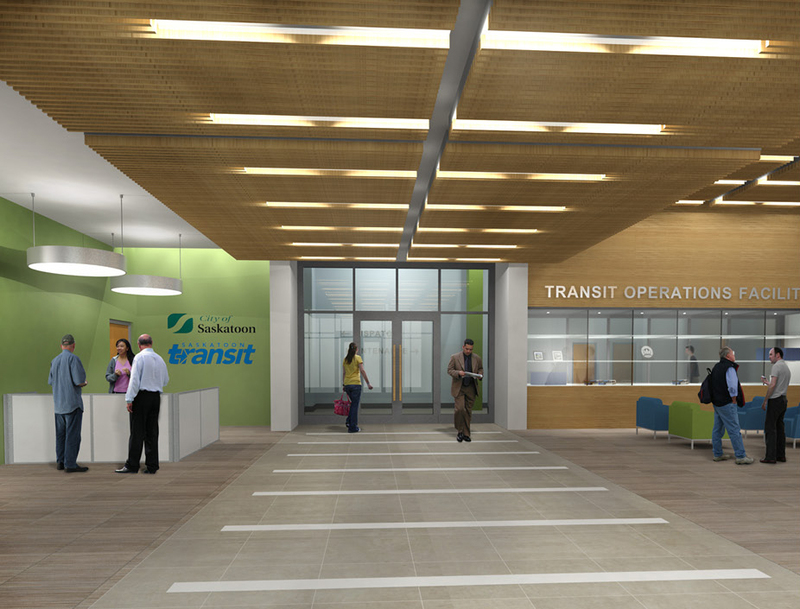 The Saskatoon Transit Operations Centre is a 430,000 sq ft facility to serve Bus Maintenance/Mechanical Staff, Administrative Staff, Operators, Dispatchers, and Facility Maintenance personnel. 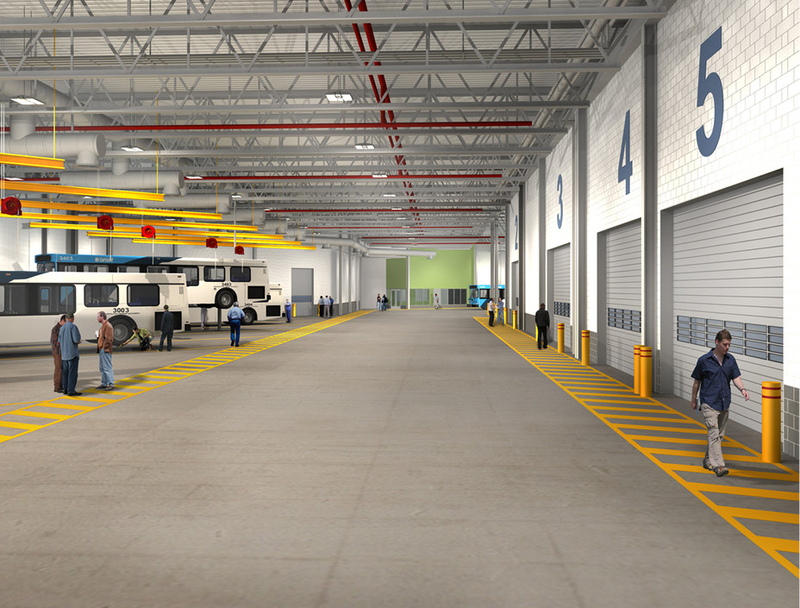 The project provides a bus storage capacity of 224 interior and 25 exterior buses with service lanes consisting of two fuel lanes, two bus wash lanes, under carriage clean and a fare drop lane. 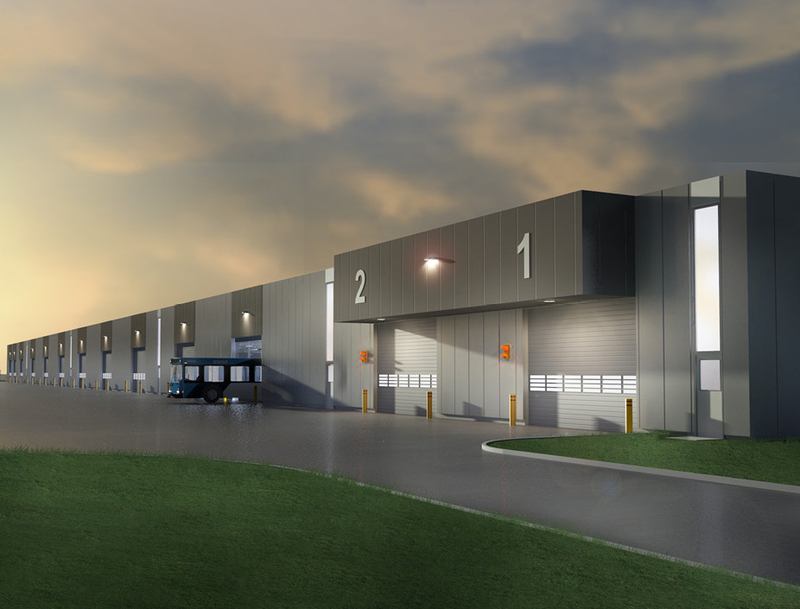 The Maintenance and Repair areas consists of 17 Repair Bays, 1 Quick Service Inspection Bay, 2 Steam Bays, 2 Interior Bays,6 Body Shop Bays and 1 Paint Booth. 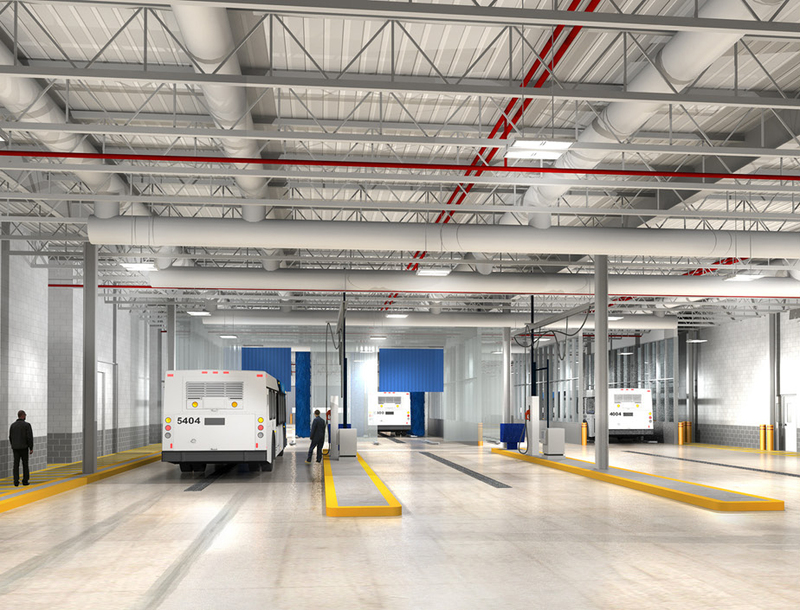 The facility is designed with provisions to accommodate future CNG buses. 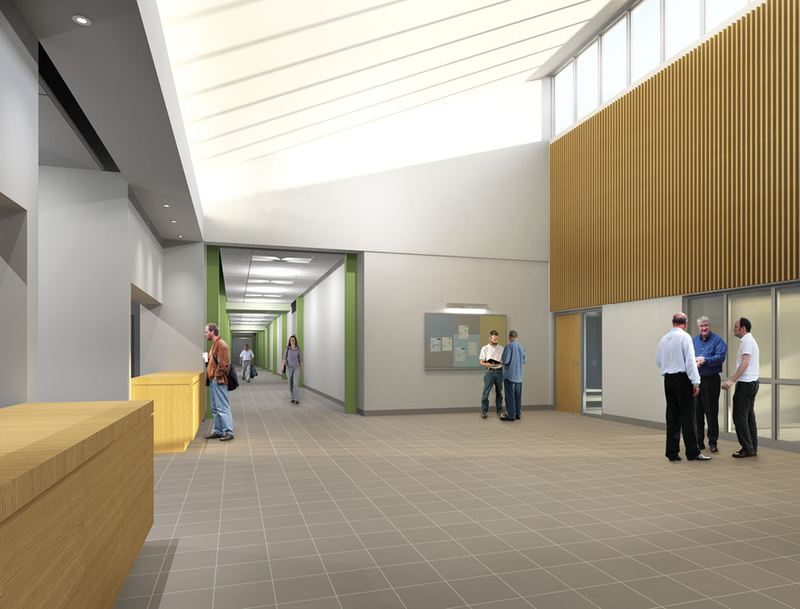 SAI was the lead Architecture firm for this P3 Design Build Finance and Operate Proposal and was responsible for the architectural design and coordination of the multi-disciplinary team including structural, mechanical, electrical, civil and landscape consultants.